Home and Lifestyle articles for Medicine Hat home owners. NOW YOU CAN PAINT YOUR PLACE™ FOR FREE! Paint Your Place takes paint decorating projects to a new level by giving homeowners control over the images they wish to preview and visualize with new color combinations. A complement to Behr’s online color tools such as ColorSmart by BEHR™ and the Virtual Color Center, Paint Your Place lets homeowners upload their own room images from their digital camera to preview the colors they choose and make decorating decisions on that image. 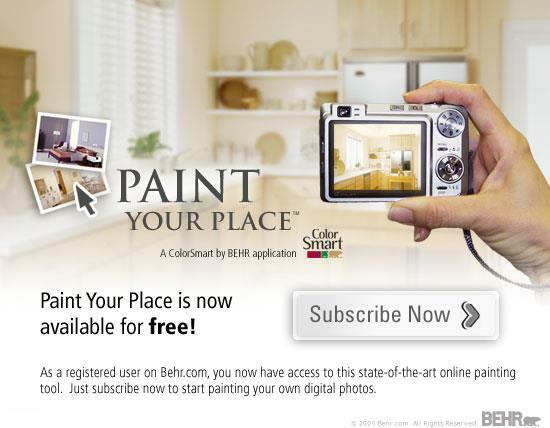 Visit www.behr.com now to get started!